December 21, 2013 By Tina M 2 Comments This post may contain affiliate links. Read my disclosure policy here. Hey Everyone! Thanks for a fantastic year. Since this is the one time of year I have my husband home for a whole week, I will be taking the next week off. You all have better things to do this next week than to read my blog anyway! Here’s a couple of printables to wrap things up for Christmas. Use this printable on Christmas Eve and come up with a gift you are going to give Jesus this next year! Finding coupons from SANTA in your stocking?! Nothing better. Okay, there are a few things that are better. But you get the point. This is pure awesomeness in the eyes of a child. 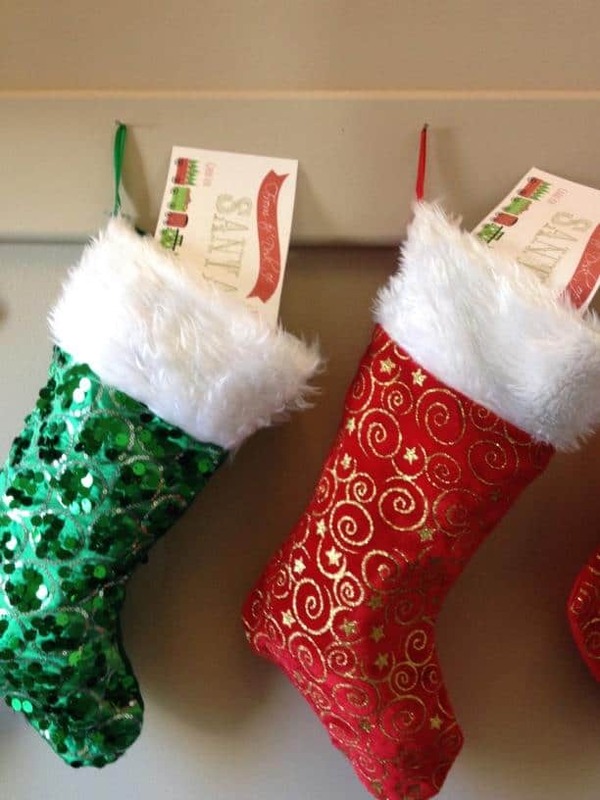 Use your creativity to fill your kid’s stocking with something that will bring a smile to their face. Maybe it’s a movie night with mom and dad, or maybe it’s a shopping trip for your high school kid. And if you are really feeling the love for your college student this year, let them redeem the coupon for tuition! I understand times can be tough certain years. Actually, it’s one of those years at our house. Rather than go into debt for gifts you can’t afford, you can also use these coupons for acts of service or for activities to be redeemed throughout the next year. This would also be really fun to use with “Santa’s Treasure Map” printable that I created for you earlier. I know some families are using the treasure map to lead their kids to a surprise Disneyland trip on Christmas morning. This coupon would be great at the end of the treasure hunt! Merry Christmas! Thank you all for your support! Got it! Thank you so much! I was just coming to my computer to create something like this. Thanks for sharing yours and saving me some time. I hope you have a wonderful Christmas!